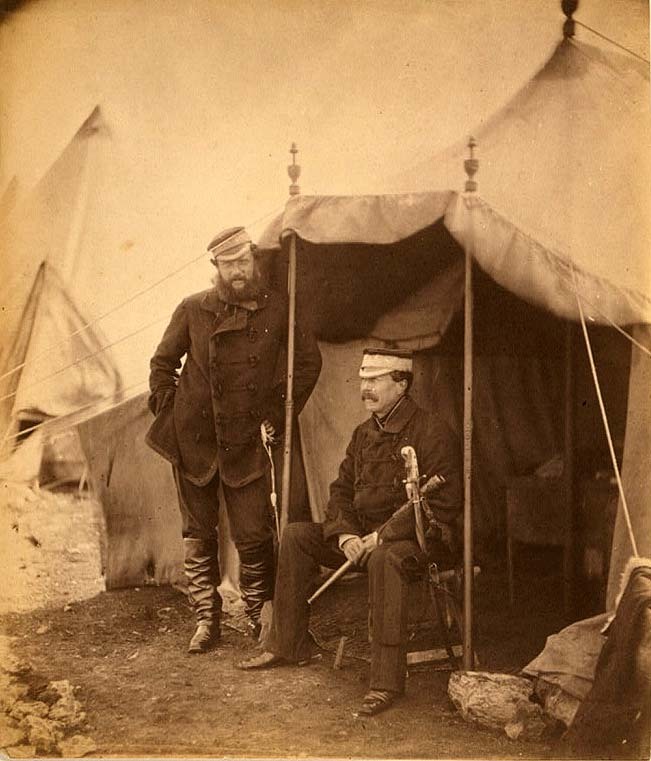 Lieutenant General Sir John Campbell and Captain Hume, his aide-de-camp, the general sitting. Colonel Brownrigg and the two Russian boys Alma & Inkermann. 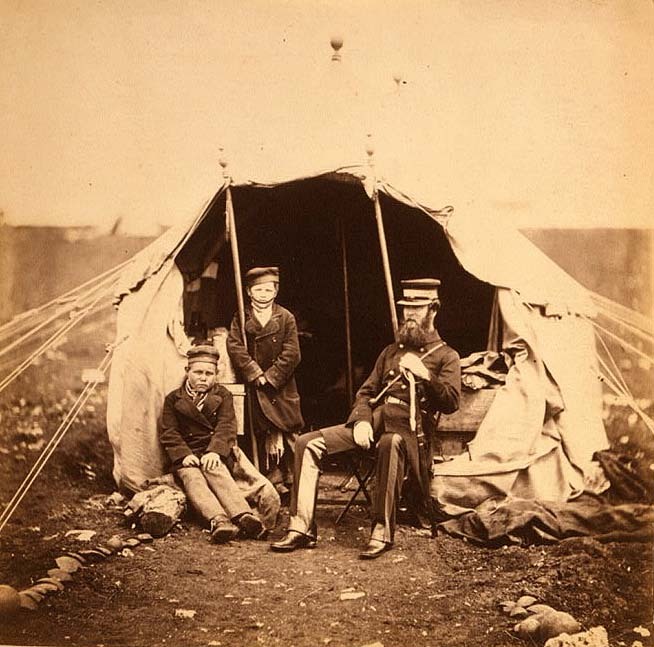 Photos made by Roger Fenton during the Crimean War, 1855. Alma, what an appropriate name for a kid during the Crimean War. Indeed, near the river Alma the Allies defeated the Russians in the first battle of the Crimean War. Apparently, Alma is the Crimean Tatar (a Turkic language) word for ‘apple’ (the fruit, not the company). The largest city of Kazachstan is called Alma-Ata, meaning ‘full of apples’, it is thought to be the ancestral home of our domestic apple.